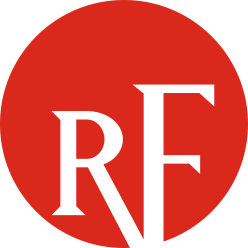 Conducts the annual ReliabilityFirst Regional Risk Assessment to understand the risks facing the ReliabilityFirst region, and performs Inherent Risk Assessments to understand the risks facing individual entities. Performs risk-harm assessments to quantify the risk and potential harm posed by potential violations of the Reliability Standards, and reviews, accepts, and verifies the completion of mitigation plans submitted by entities. Performs data analysis and analytics integral to risk analysis and the cross-functional needs of the various departments at ReliabilityFirst. Conducts Generation Plant site visits to assess registered entity cold-weather preparedness. Provides CIP and O&P subject matter expertise to industry (e.g., assist visits, workshops, outreach) and internally (e.g., Enforcement, Compliance, Entity Development) to drive efforts supporting BPS reliability, security, and resiliency. For more information, click on the subpages to the right. For any questions regarding ReliabilityFirst’s RAM activities, please visit our Contact Us page and direct your question to the RAM group.